Instilling a growth mindset in our pupils underpins our approach to the curriculum and all our teaching and learning. We know that pupils who have a positive attitude towards their learning will make good progress and be successful. We use the theories of Carol Dweck for both staff and pupils and work hard to embed these ideas within our school ethos. We want all our pupils to relish challenge, embrace failure, see the importance of responding to constructive feedback to improve their learning and to support and help each other in their learning. In our school we celebrate each others' success and mistakes in equal measure. This will help them to achieve in school, in the wider community and beyond as they grow. We know that in order to fulfil the potential of our pupils and to encourage them to become confident and resilient learners, the staff need to be modelling the mindset of a learner who is not afraid to make mistakes. A learner who thrives on making mistakes as they see this as part of the learning process. A mindset which says 'My mistakes lead me to success' or 'If I am not making mistakes then I am not learning something new'. All our classes have a learning culture which draws upon Disney characters who demonstrate the character traits needed to become independent, intrinsically motivated, resilient learners. Central to this attitude and approach to learning, are the theories and proven evidence of Growth Mindset. 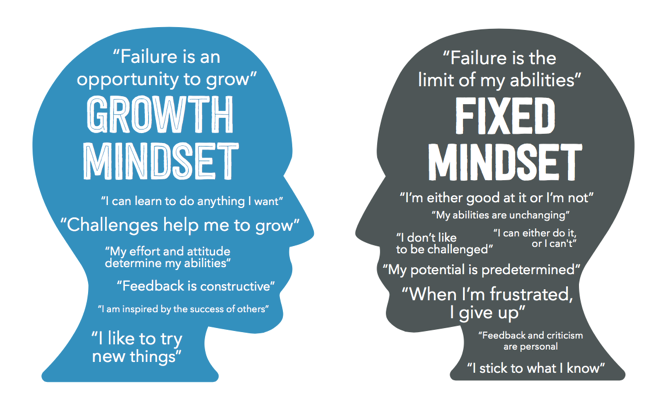 This is a term given by Carol Dweck and her research whose research identifies the characteristics of a fixed mindset learner and a growth mindset learner. The following video explains the concept of fixed and growth mindset. Follow the link to access. Our brains need to build pathways. We need to keep trying and practice to make new pathways. We can grow our brains. We celebrate our mistakes - we learn from them. We never give up - we persevere even if it is hard. We challenge ourselves and take risks. Alternatively, you can read the book written by Carol Dweck, Minset How to Fulfil your Potential. Carol Dweck - The importance of praising effort.